Alexander the Great, Julius Caesar, Napoleon, and Adolph Hitler tried to take over the world. All of them failed. Yet an illiterate desert prophet enabled his followers to hammer together an empire 11 times the size of Alexander the Great’s conquests, 5 times the size of the Roman Empire, and 7 times the size of the USA. How did Muhammad pull it off? And how does his success threaten you and me? The Muhammad Code is a story you are not supposed to read. The Muhammad Code is based entirely on Islamic sources: the Quran, the Hadith, Ibn Ishaq, al Tabari, and lives of Muhammad written for Moslem eyes only by Islamic religious leaders, Islamic scholars, and Islamic journalists. 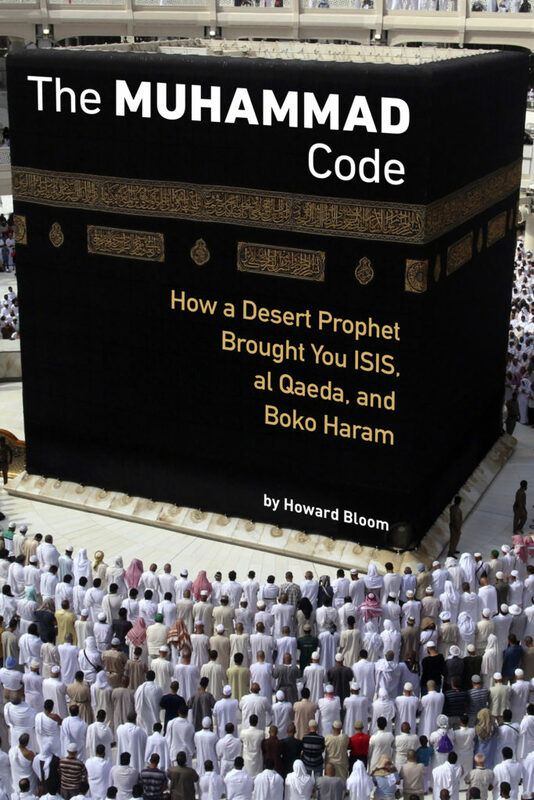 The Muhammad Code tells one of the most important and riveting stories in history. The hidden story behind the headlines from shock-spots in Asia, Africa, Europe, Iran, Iraq, Afghanistan, and Pakistan. And the inner secrets of the mosque down the street. If you are a Moslem and you want to be righteous, just, and pure, you are required to follow in the footsteps of Muhammad. What kind of footsteps did Muhammad leave you? His example as the commander of 65 military campaigns. His example as a participant in 27 of those battles. His example as the architect of ethnic expulsions and genocides. Explains Osama bin Laden, Muhammad was “a Prophet of Conquest.” And Pakistan’s Universal Sunnah Foundation agrees. It says proudly that under Muhammad’s generalship, “Islam spread on an average of 822 square kilometers per day.” Behind that conquest is an astonishing story. The story of Muhammad’s life as a militant. The story of Muhammad’s two favorite tools of war, “deceit” (deception) and “terror.” The story that led to the assembly of the biggest empire in human history…an empire eleven times the size of the conquests of Alexander the Great, five times the size of the Roman Empire, and seven times the size of the United States. If you want to know the story of Muhammad’s ten years as a militant, read The Muhammad Code. It is more than just amazing. It is a story whose aftershocks are quaking your life.